What is the teacher student ratio in the school? Do I need an appointment to visit Hopetown Girls’ School? No prior appointment is needed. Please do call and check if it is a working day to avoid any inconvenience. What extra academic support will my child get? We do not offer tuition. However we do have support classes through the year. Children who require support see their teachers or the coordinators. 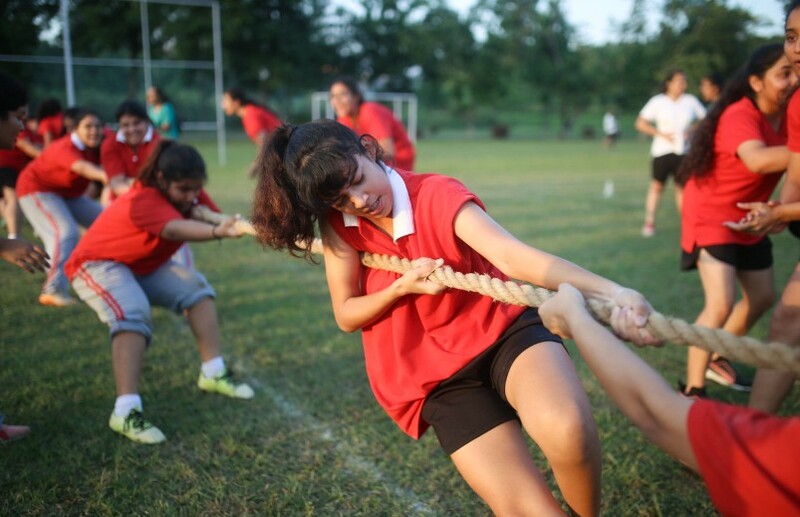 How is Hopetown Girls’ School, Dehradun different from other boarding schools? 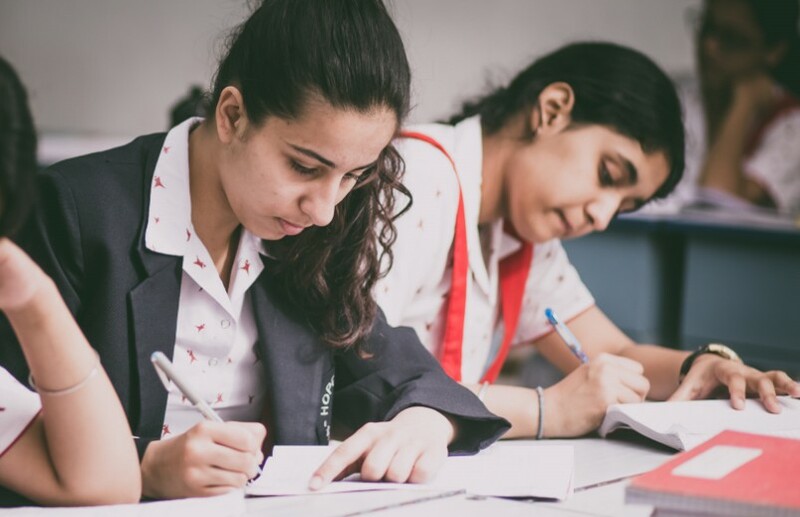 We are a residential school for girls and believe in sound Indian value systems, and in the significance of bringing up children in a happy, positive and nurturing atmosphere. We believe in secularism and encourage respect of all religions, beliefs, customs and opinions. In the ultimate analysis, the quality of a school is reflected in its students. We seek to enable all children to explore their multifaceted talents and facilitate opportunities for celebration of these talents. Emphasis is on academic excellence, pastoral care and a range of co-curricular activities. There is a strong focus on social responsibility and global citizenship in all aspects of school life. The school curriculum and ethos provides opportunities for students to develop into compassionate, caring human beings who will contribute positively to the world they live in. Registrations are open from the month of April till the scheduled entrance test. Admissions are decided on a point basis and siblings are advantaged in the selection. What are the next steps once the application is submitted? After registration we send the syllabus, sample papers, registration letter and the admit card (For entrance exam) of the child by email to the parents. Yes! You may register online from the next session. For the current session, you have to register offline. What are tests will my child be required to take? Your child will appear for English, Hindi and Mathematics and a formal interview. How will I pay the registration fees? You may pay the registration fee through NEFT/RTGS/Online Banking. Registration fee is non -refundable. When do I have to pay the school tuition fees? After you receive the offer of admission from the school. Can my child join school late as long I have paid the fees? If there is a valid reason your child can join late. To help your child to settle in easily we would like to have her join with the other new students. What is the school’s policy for withdrawal and refunds of deposits if a child is leaving the school? The school requires three months notice for withdrawal and refund of deposits. You may register your child a day prior to the entrance test. Our campus is totally safe for the girls. We have armed guards (at all three gates as well as on the campus) cameras have been installed at strategic points at the academic buildings, lobbies and outside the residential blocks. When and how often can my child contact me? Your child will contact you on weekends. How many school outings are there in a term? Outings will be fully based on the School Calendar. We generally provide one day or one night out in a month. This may be clubbed sometimes with festivals. There may be a month when no visits are allowed. Apart from academics what other activities does the school offer? Apart from the academics we have Sports, Dance, Music, Fine Arts, Pottery, Textile, Sculpture making, Photography, World Scholar’s Cup, etc. What type of food do you serve? How often do you serve non-vegetarian? Is it compulsory to eat non-vegetarian? We serve both Vegetarian and Non Vegetarian. We serve non- vegetarian three times in a week. No, it is not compulsory to have non-vegetarian. Is the child allowed to keep a mobile with her? No they are not allowed to keep mobiles with them. Is the Child allowed to go out of the campus? They are not allowed to go out of the campus alone. Teacher escorts are always with them. How many beds are there in a dormitory? There are 6-8 beds in a dormitory. How many students are there in one section? There are 20 – 25 students in one section. Does appearing in the Entrance test mean that admission is confirmed? No, admission will be based on the student’s performance in the test. Do you have transport facility for outstation students? We provide transport facility only till Jolly Grant Airport. What if the student faces any problem on the campus? If a student faces any problem on the campus they may speak to the House Mistress, Assistant House Mistress, Coordinators or the Principal. Do you have a counsellor? Yes we do have a counsellor on campus. How do you help the student for their career opportunities? We have a career counsellor on campus for student guidance. Do you have medical facilities on the campus? We have a 21 bed hospital, with an MBBS doctor and three nurses (24×7). Yes you may write to your child as often as you like. All children send letters by post. Those who have parents abroad and senior students may email once a week. When may I first visit my child after admission? You may visit your child 20 days after admission. During the first 20 days we do not permit parents to either meet or talk to their child. This is to ensure that the transition period is smooth for both parents and children. All other visiting days are slotted on the school calendar. Are children allowed to bring tuck?